Brands play an important role in consumers’ daily life and can represent a big asset for companies owning them. Owing to the very close relationship between brands and consumers, and the specific nature of branded products as an element of consumer life style, the branded goods industry needs to extend its knowledge of the process of brand preference formation in order to enhance brand equity. 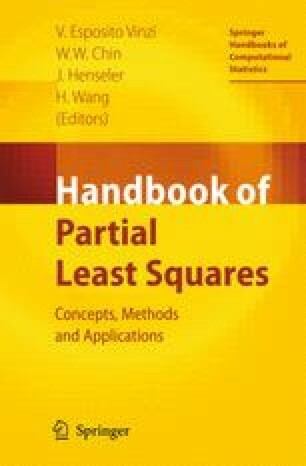 This chapter show how Partial Least Squares (PLS) modeling can be used to successfully test complex models where other approaches would fail due to the high number of relationships, constructs and indicators. Here, PLS modeling is applied to brand preference formation regarding mobile phones. With a wider set of explanatory factors than prior studies, this one explores the factors that contribute to the formation of brand preference using a PLS model to understand the relationship between those and consumer preference for mobile phone brands. Despite the exploratory nature of the study, the results reveal that brand identity, personality and image, together with self-image congruence have the highest impact on brand preference. Some other factors linked to the consumer and the situation also affect preference, but to a lesser degree.